We have a thing for duffle coats. Must be our fond memories of wearing a chic navy duffle coat to school in winter. So duffle coats and bikes make up stop for a second look. 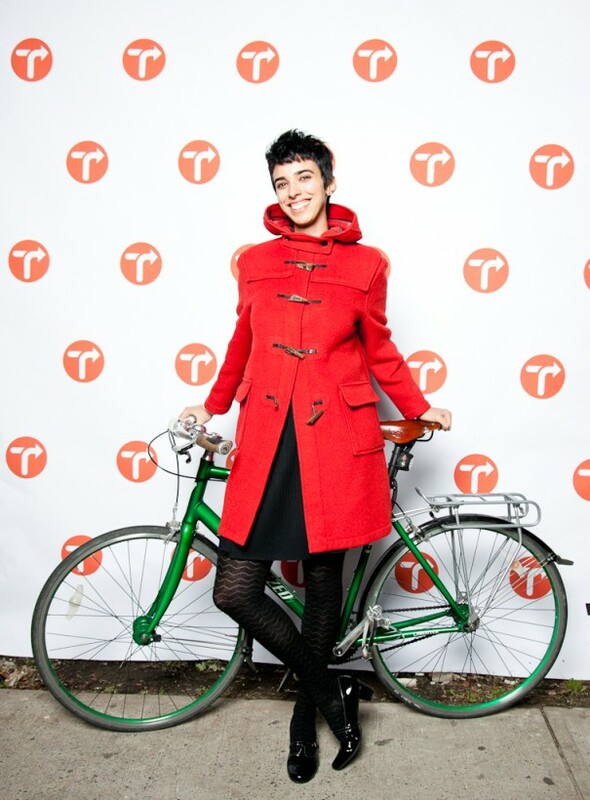 Especially a bright red coat paired with patterned tights and a megawatt smile. Almost puts her beautiful green bike in the shade.